As CONCACAF look back at competitions in 2018, www.islandstats.com can report that Bermuda has indeed made the list. 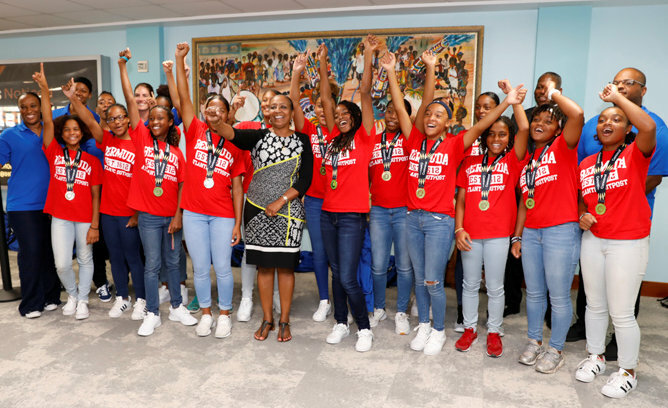 During the CONCACAF Under-15 Girls’ Championships the United States emerged as Division 1 winners thanks to a 3-0 extra time win over Mexico, while Bermuda took home the Division 2 title by edging Grenada 2-1. National Coach Naquita Robinson reflected on 2018, the high’s, lows, the National Academy and earning her Coaching B License Badge.